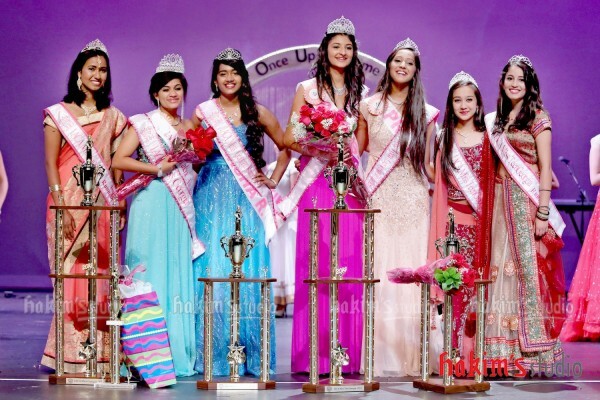 Atlanta, GA: Anu Romesh was crowned IACA Miss India Georgia 2014, while Diya Sharma won the IACA Miss Teen India Georgia 2014 title at a glittering ceremony held at the Ferst Center for the Arts in Atlanta on July 19. 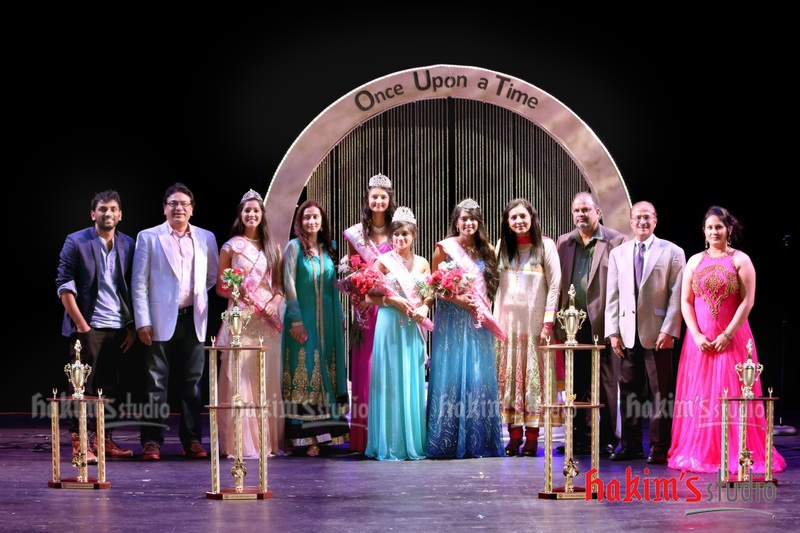 The pageant, now in its 27th year, was organized by India America Cultural Association (IACA). This year’s theme was ‘Once upon a time’. Suvarsha Reddy was the first runner-up in the IACA Miss India Georgia section of the pageant, while Prachita Porika was the first runner-up in the teen category. The pageant was a fundraiser for multiple myeloma research at the Winship Cancer Institute of Emory University. The superlative awards went to Maulika Reddy (Best Eyes), Vaishnavi Bavadekar (Best Smile), Yash Yadav (Miss Congeniality- chosen by the contestants), Anu Romesh (Best Talent) and Priyanka Patil (Best Talent, Teen). This year’s pageant included an SMS polling feature where audience could vote for their favorite contestant. Vaishnavi Bavadekar won the People’s Choice award. Earlier, four top contestants were chosen from each section of the pageant after an Indian attire round, an evening gown round and a Q&A segment. The top contestants then had to pick a judge’s name from a bowl, and answer the question asked by that judge. The winning question in the IACA Miss India GA category was, “What qualities should the judges look for in a beauty pageant contestant?” Anu Romesh’s confident response won her the crown. She said, the judges should see not only the makeup and clothes, but look beyond the outward to see the talent, intelligence, grace and self-confidence of the contestants. “We are all special in our own way,” she said. The glittering evening was interspersed with entertainment and a fashion show coordinated by Hema Shilpa, who also choreographed the pageant. The creative design and choreography was by Shiva Turlapati of Shiv’sInstituteofDance. Students of the institute also performed during the show. A highlight of the evening was some mellifluous singing by Sa-Re-Ga-Ma star Darshna Menon and the Ehsaas Band. Punjabi singer Ikkamjeet Gill rocked the evening with upbeat Punjabi beats. Emcees Pritesh Patel and Anjali Sharma Tripathi were charming. The panel of judges included Paddy Sharma, Sana Ayubi, Ross, Rossin, Karishma Kothari, Nix Spalding and Ava Bonneva Rossin. This year, the pageant was directed by Nida Shariff and Kaushal Tripathi. In his brief address after the pageant, Tripathi said the IACA annual pageant is of the community, by and community and for the community. “This is a vehicle for us to give back to the community,” he said. “I have personally seen our angels on earth work hard in an ultimate display of poise, grandeur, ambition, self confidence and friendship,” added IACA president Nivedita Garabadu.